Kate Ovens is what I call an a eating machine. She has a YouTube channel dedicated to just eating ridiculous amounts of food. 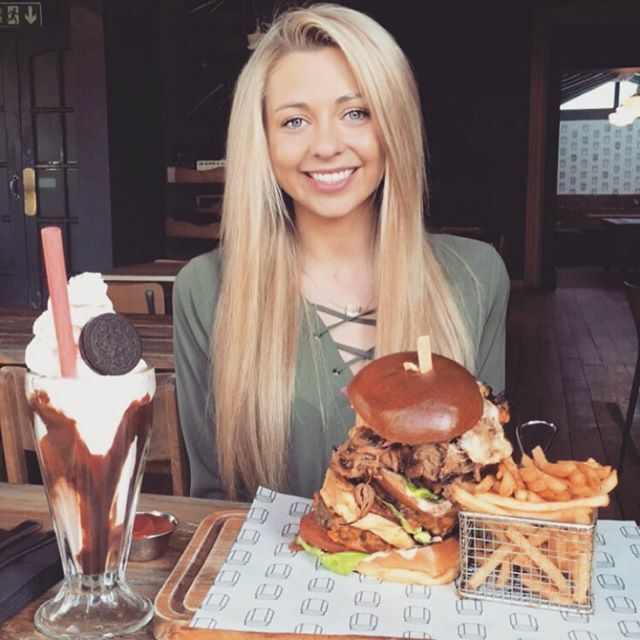 In her latest video she ate a 28oz burger, fries and shake at a restaurant in Newcastle.